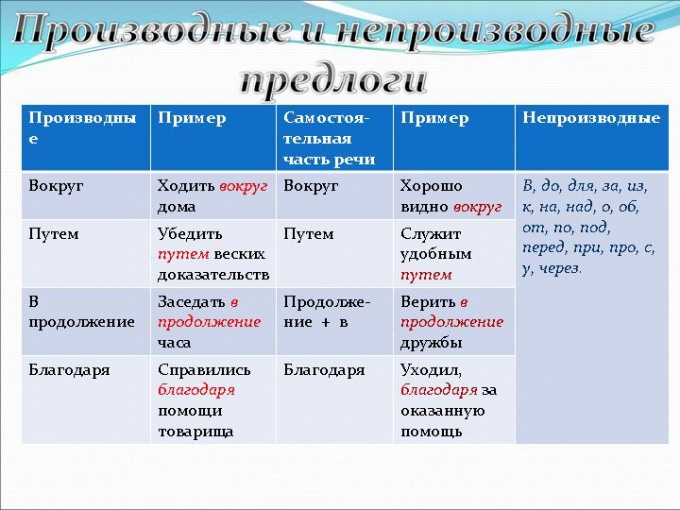 How to write: "in continuation" or "continuation"
Along with the nouns in the Russian language there are complex noun prepositions used in speech no less than the words from which they are formed. Outwardly from each other they differ only the last letter. Choose the correct part of speech and, consequently, the true end will help you a small algorithm. How to write: "in the absence" or "lack of"
The design of the " continuation" is a noun in the prepositional case form, while " continuation"is just an excuse. Therefore, if under continuedm you mean the definite object or phenomenon on which to focus, you need to use the noun and write the end letter of the word "and". For example, in the continuation of the book has a new hero." Also for verification you can ask a question to a dubious word. The noun " continuation" will answer the question "what?" or "where?". For example: where there is a new hero? – In the continuation (book). Check if the word answers the question "when?" or "what time? ", you are not a noun, and preposition. Therefore, the end should be written with the letter "e". For example, in the continuation of the trip we went to the Wild West." When we went to the Wild West? – In continuation of the journey. Also that the noun in front of you, will speak to the fact that it can be used without any dependent words separately. For example, " the sequel has a new hero." If before you excuse, it must be used along with the word, which he manages. For example, " continued weeks," "in the continuation of the evening". Most often, the indication of the time period, for example on the time of day indicates that the preposition in front of you. However, validation is still necessary to ask the question. For example: In a continuation of the morning I fell on a mountain of work. – When I fell on a mountain of work? But: In continuation the morning was a special kind of charm. – What was the special charm? In the first case the preposition in front of you, and at the end of "e", but in the second case, the noun in front of you with the end "and". The same algorithm applies when selecting between "and" and "e" at the ends of the structure "within" and "within". A little different but in General similar rules will also help you to make a choice between "avoid" and "avoid", and between "the result" and "due".